Crayfish are freshwater crustaceans with similar features to lobsters. Their small size and unusual form has them growing in popularity in the fish keeping community. They have similar needs to fish, so looking after them requires similar skills. This makes them ideal for someone looking to expand into different areas of fish keeping. One great trait is their omnivorous diet. You will quickly learn that as far as food goes, Yabbies are not fussy. They eat the same foods as fish, and more. From fish foods to vegetables, they will greedily eat almost anything. As they grow from larvae to adulthood, the food they eat will change. 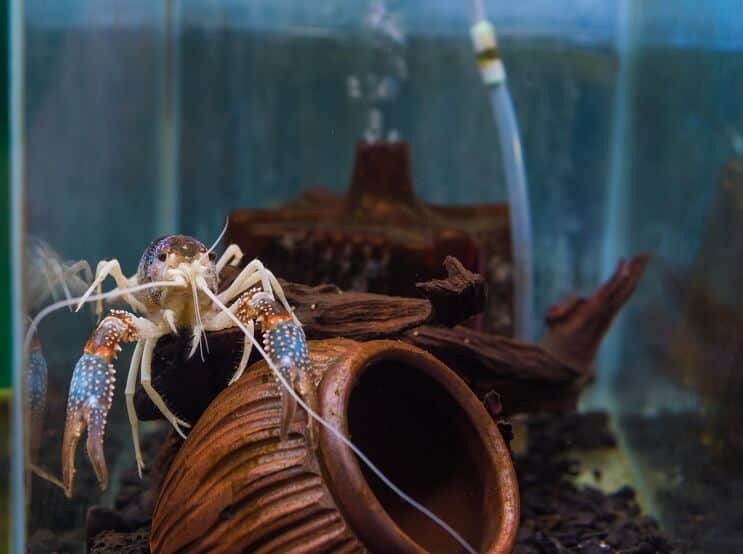 This article will walk you through the wide range of foods available to Crayfish at all ages, both in the wild and in the aquarium. 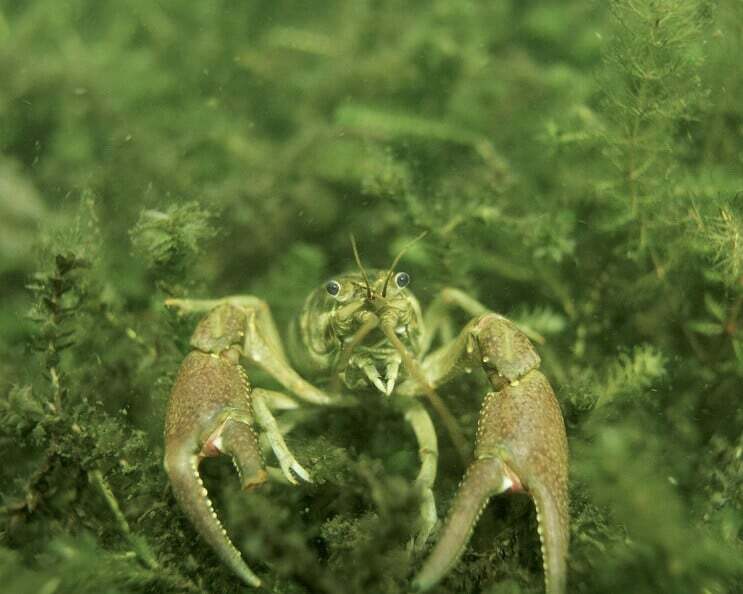 What do Crayfish Eat in the Wild? Crayfish are freshwater crustaceans belonging to the order of Decapods. This order also includes lobsters, which are closely related, and often get misidentified (and vice versa). They are a lot smaller than lobsters and live in freshwater. 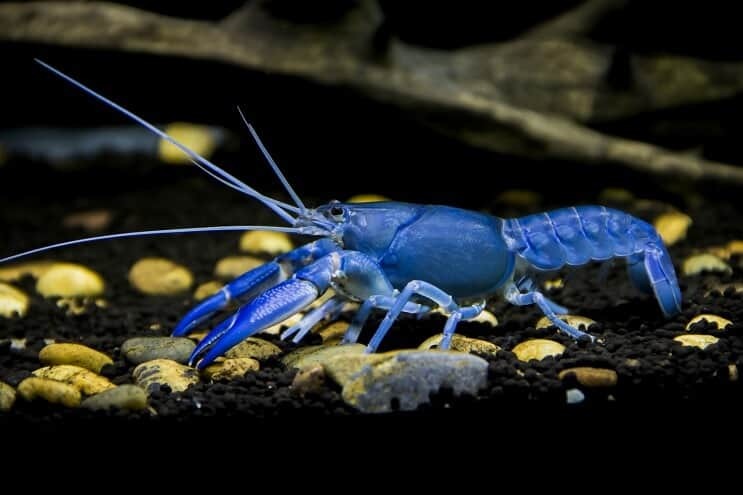 Yabbies is a common names for these creatures, but they are also known as crawfish, crawdads, freshwater lobsters, mountain lobsters and mudbugs. All these names refer to the three Crayfish families from the Decapod order; Astacoidea, Cambaridae and Parastacidae. Their name is sometimes used for other animals in different parts of the world. For example, in Australia, New Zealand, and South Africa, “Crayfish” is the common name for a spiny lobster (from the family Palinuridae) which lives in saltwater habitats. 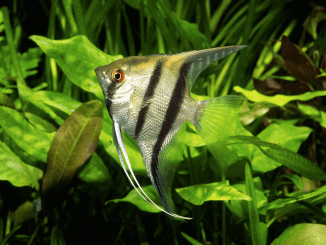 It’s important not to confuse those saltwater creatures with the freshwater ones we’re looking at in this article. There are over 600 species of freshwater Yabbies spread across the three families above; two families which inhabit the Northern Hemisphere and one in the Southern Hemisphere. The largest range can be found in North America, Australia, and New Zealand. They are also present throughout Asia and Europe. Even the island of Madagascar is home to seven endemic species. They have been very successful in adapting and spreading across lots of different areas. 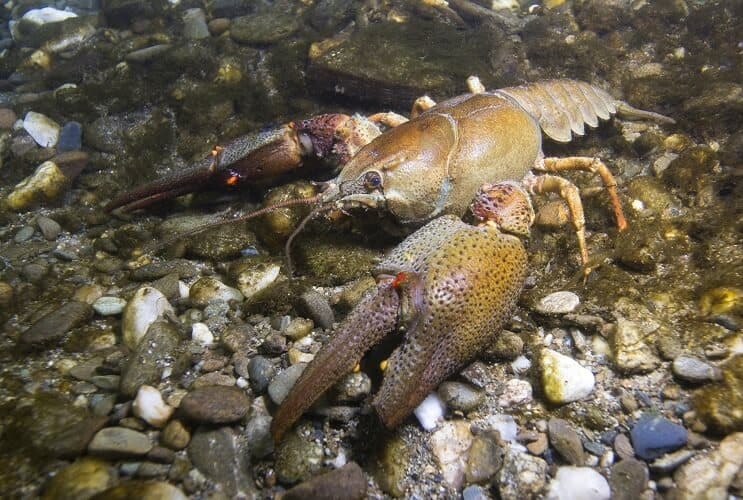 In many areas some species have become invasive, such as the rusty Crayfish. They come in a huge variety of shapes, colors and sizes, with the average reaching 6.9 inches in length. Their anatomy is made up of many appendages such as the antennae, walking legs, swimmerets and uropods. Over time, they are becoming an increasingly popular pet in the home. Their hardy nature and unfussy diet makes them easy to care for. Crayfish live in streams and rivers, so their natural environment will consist of mud, rocks, vegetation and a fast-flowing current. The current is particularly important. If the water stays still then it is much easier for pollutants to build up in the water. If they are in polluted water for too long, it can be fatal for them. The current keeps the water moving, which flushes away pollutants and keeps the water clean. They are omnivores so in the wild they eat whatever they can get their claws on. Their main diet is decomposing animal matter and decaying vegetation. These are the easiest food sources to get hold of and they can easily be ripped apart by their claws. They also eat small live fish, if they swim by close enough. In the wild it’s difficult for them to catch live fish because there is usually somewhere for the fish to escape to. It is much easier for them to catch live fish in an aquarium (more on this later). It’s hard to think of another animal that eats so many different food sources; they will quite literally eat anything, from rotting leaves and twigs, to animal flesh (both rotting and alive), they’ll even cannibalize their friends and plants. As they are not particularly strong swimmers, the food they eat usually must sink to the bottom of the river before they can eat it. They mostly use their claws and first two pairs of walking legs (which have small pincers on the end) to pick up food and eat it. It is not easy to watch them search for food since they are nocturnal. They wait until nighttime before leaving their shelter and scavenging food. 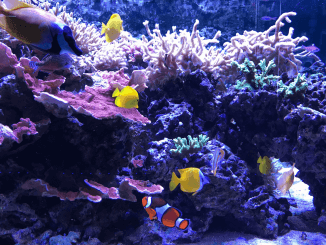 Before adding them to an aquarium, the tank needs to be as similar as possible to their natural habitat. They are not particularly demanding creatures, but a strange environment can lead to a hunger strike if they are too stressed to eat. Studies have shown that they can experience anxiety similar to humans, which is why it’s important to create the right environment for them. It is not difficult to replicate these conditions. The bottom of the tank should have plenty of rocks and a thin layer of fine grain substrate (sand) for them to partially burrow into. The rocks need to have cracks and crevices between them for Crayfish to hide in. In rivers these spaces would be used to hide from predators, as well as giving them shelter when they’re not scavenging for food. Recreating a river’s current can be done with a filter. Positioning the filter outlet at the surface should cause a small current through the tank, or you can use an air pump or water pump. As we talked about earlier, they often eat plants, so are likely going to cause damage to any plants that you keep in the tank. Even though they are likely to get damaged, plants are a good way to vary a their diet. Hardy, fast-growing plants are the most likely to survive; examples of these include hornwort and java moss. Vegetation (such as vegetables, plants and algae) may be used as the main source of food. It can be just as healthy as meat and is cheaper to buy. Don’t cut out meat from the diet completely as the protein it contains is important for growth. When they reach adulthood proteins are needed in smaller amounts as they are no longer growing. There are many food sources available for you to feed. Varying the diet will give them plenty of nutrients and will also keep things interesting for them. Pellet-type foods are ideal as they quickly sink to the bottom of the tank and are usually high in protein. Shrimp pellets are one of the most popular foods, but fish foods will be quickly eaten too. Small live foods (shrimp and fish) are popular and make feeding times a little bit more interesting, since they will have to actively hunt their food. If you have any leftover vegetables from your own food, you can drop them into the tank as well. This will give them something different to eat and also stops your own food from going to waste. Leafy green vegetables are ideal as these are easier for them to break apart with their claws. You might even want to make your own fish food, to make sure they are getting the best mix of nutrients possible. They help to keep your tank healthier and cleaner through their feeding habits. They will feed on bacterial or algal blooms, like other algae eaters, and keep the water clean. They do not need to be fed in large amounts, especially when they’re adults. In terms of pellets this could be a 0.75 inch pellet per fish per day when they’re young, and every other day for an adult. Keep this quantity in mind if you choose to feed them other types of food too. When you put food in the tank, it may not be eaten straight away, but you should see it disappear from the bottom of the tank when they become more active at night. You do not need to worry if they are not eating their food, they should start eating again when they get hungry. If they are not eating at all try switching the type of food that you are giving them and check your water parameters. If you don’t feed them enough, they may start to fight and become cannibalistic. This can also happen if the tank is overstocked. It is common for them to sit in their hiding spots throughout the day, making it difficult to see them. If you want to see them more during the day time, try putting food around the tank to watch them scavenge. Some people choose to feed their Crayfish using a pair of tongs, which helps them to get used to people and their artificial environment. Try to keep their feeding routine regular. They will learn their feeding times and may venture out from their hiding spots when they think their food is coming. The life cycle of a Crayfish starts with an oocyte (egg). Once they’ve hatched from eggs, larvae will quickly grow to resemble a small Crayfish. This takes 15 days, by which point they are only 0.5 inches in length. This small size restricts their diet because they can’t fit the same foods into their mouths that adults can. 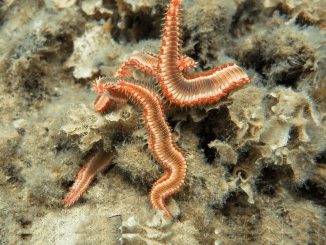 At this age in the wild, the larvae would stay under their mother’s tail and feed on small pieces of floating food. To recreate this in your aquarium you simply need to break down the food you give them to a suitable size. Check that the food is disappearing from the tank, and if you can, watch them eat to make sure it is definitely them doing the eating. You can feed them crushed baby shrimp food which is available online and in some fish stores. This usually comes in a powder form which you can sprinkle into the tank. One of the biggest problems for larvae is finding food, so providing lots of food is key to reducing mortality. After the larval stages, young Crayfish look just like miniature adults. You can feed juveniles the same foods as adults. Just make sure you feed them every day until adulthood because they need more energy for growth. If you do have babies in the tank, it’s really important to make sure they are all being fed well enough, including the mother, because they will eat one another if they are hungry. It should be clear to see that when keeping Crayfish, their diet will be the least of your worries; they are scavengers and eat pretty much anything! Their omnivorous nature makes them easy to cater for. They will happily eat live foods, frozen foods, fish foods and vegetables. This broad diet helps to keep them healthy and if you vary their diet enough, they’ll be provided with all the nutrients they need. If you care for them properly, these creatures are very rewarding to watch and are a great alternative to freshwater fish. Feeding them is simple and should not stand in your way when deciding whether to keep some. Awesome info … dont know if I missed it, but I didn’t get any info on average lifespan in the wild or the aquarium. Their average lifespan is around 2 years, some cave species live up to 10 years in the wild. Some of the Australian crayfish live for a long time. The spiny crayfish can take several years to reach maturity and then live for decades. If a Crayfish is kept in a tank with shrimp will the lobster eat the shrimp?